Since July 2013, Ms. Dorchak has been an independent business consultant. Currently, Ms. Dorchak serves as a member of the board of directors at Mellanox Technologies, Ltd., a supplier of computer networking products, and Energy Focus Inc., a provider of energy efficient LED lighting products. She is also an Operating Advisor to OMERS Private Equity, a private equity investment fund for a Canadian pension plan. From April 2012 to June 2013, Ms. Dorchak served as EVP and General Manager, Global Business at Spansion Inc., a semiconductor company subsequently acquired by Cypress Semiconductor Corp. From January 2009 to September 2010, when it was acquired by Red Bend Software, Ms. Dorchak was the Chief Executive Officer and Vice Chairman of VirtualLogix, Inc., a private software company. Ms. Dorchak served as Chairman and Chief Executive Officer of Intrinsyc Software International, Inc., a provider of software and engineering services, from July 2006 to November 2008. 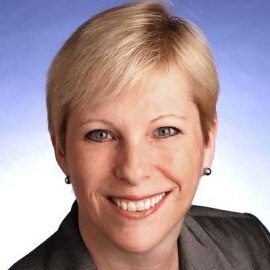 Ms. Dorchak’s earlier professional experience includes executive roles at Intel Corporation, including Vice President and Chief Operating Officer for Intel Communications Group, and management and executive roles with IBM Corporation.